So many small churches exist in survival mode. They struggle to meet the rent or mortgage. They struggle to pay the pastor. They struggle to stay alive. Sometimes the battle for basic survival is so severe that very little ministry gets done, especially ministry outside the church walls, because they can barely keep the lights on. 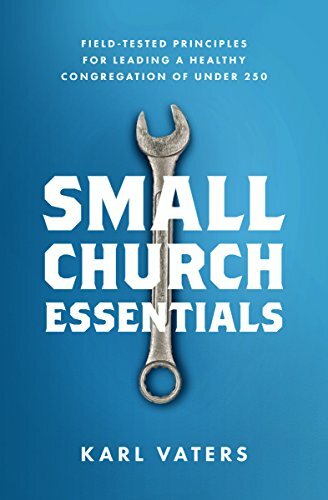 In tens of thousands of churches every year, the struggle becomes so overwhelming that the church closes its doors for good. Today I’m proposing a radical solution that, if it's the right choice for you, will literally end all of your church’s financial struggles once-and-for-all. Consider turning your brick-and-mortar church into a house church. Here it is: Consider turning your brick-and-mortar church into a house church. Why Consider Becoming a House Church? This is not an easy solution. It’s not for every church. But it is right for some. Becoming a house church won’t come without a cost, but it has plenty of advantages, too. And they duplicate themselves very quickly. House churches don't stress over getting more butts in the seats. When they grow (and they do) they start another meeting at another house. In a house church, all the money goes to ministry, missionaries and others who need help. Maximum ministry, minimum maintenance. Full disclosure: I’m not an expert at house church. It’s not how I worship or minister. I’ve never even attended one. In fact, I'm such an introvert that the idea of having church face-to-face with a handful of people in someone else's house (or with a group of people in my house) is a disturbingly stressful thought. So I pastor a church with a building, a denomination, a salary and all the concerns that go with paying the bills, because that's the best option for me. But house church is a viable alternative for many, especially for those who are struggling within the confines of an institutional church structure.